He didn’t just beat Phelps, either – he won the race a full five seconds ahead of the competition and placed first in every event at the Far Western International Championship, which was held at the Salinas Aquatic Center at Salinas, California on Sunday. “And that 100 fly, he broke that record by a second, which is a lot in swimming. 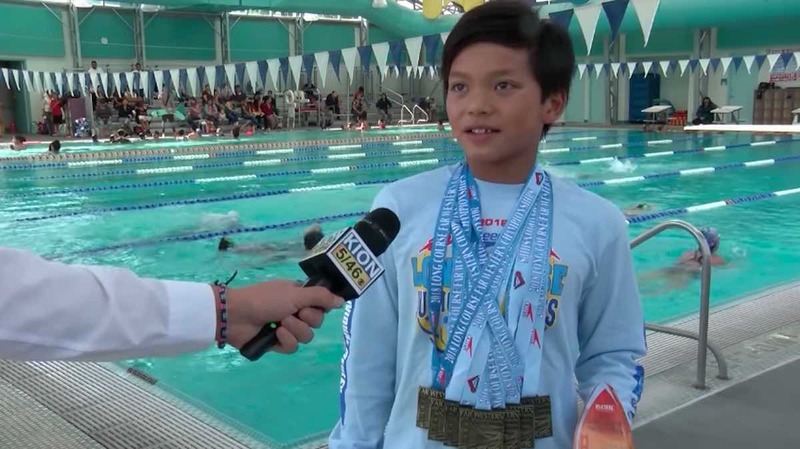 But not only that, he beat his competition by over 5 seconds,” Salinas Aquatic Center CEO Dia Rianda told KOLR. Clark, whose friends call him “Superman” says that he has been trying to beat Phelps’s record since he started swimming competitively at 7 years old. One day, he hopes to compete in the Olympics. His advice for other kids? “Always have fun and never give up on your dreams, no matter what anybody says,” he told KOLR. Judging by his success this week, we’re definitely going to be watching out for him at the Olympic games in the future.